MyThemeShop Review 2019 (Pros & Cons) My Special Discount Inside! MyThemeShop Reviews With My Special Discount Inside! In this MyThemeShop review, you are going to get the coolest information about them. And particularly for those who have the mindset of buying them to start your blog but need additional information for making the right decision whether to buy it or not? For your convenience, I wrote this article with some necessary screenshots like website speed test, plugin test to help you to take your decision even easier. 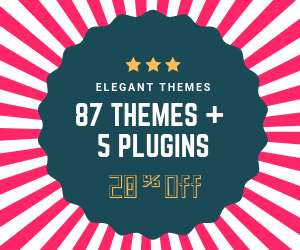 Special Offer: Don’t pay full amount Get any theme or plugin at 31% discount Click Here to get offer. This is my fourth year of using MyThemeShop product, and I am happy with their support, and valuable services. This blog is using Schema theme (check review ) which is the fastest WordPress theme ever and also ranks my website in major search results. Continue reading this article to know more. 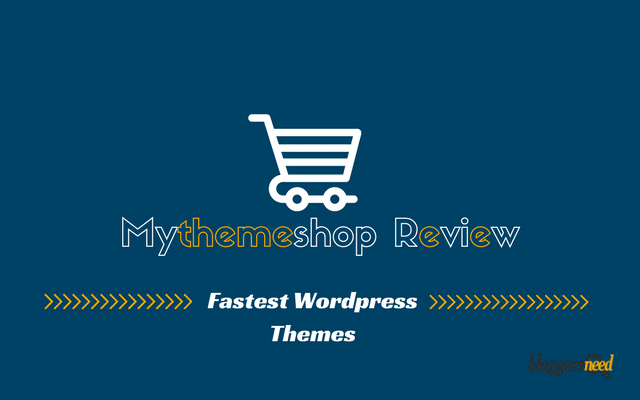 MyThemeShop is one of the best wordpress themes providers and got trending wordpress themes and also well known for providing popular premium themes and plugins and has 112 themes and 29 wordpress plugins. The company runs successfully by having 3lakh plus premium customers who are continuously supporting their products by showing positive reviews and also suggesting others try them out. What Makes MyThemeShop So Special? The reason behind this personal guide is to reveal what makes them so special? Yes, the feature of MTS is what make them as the celebrity. 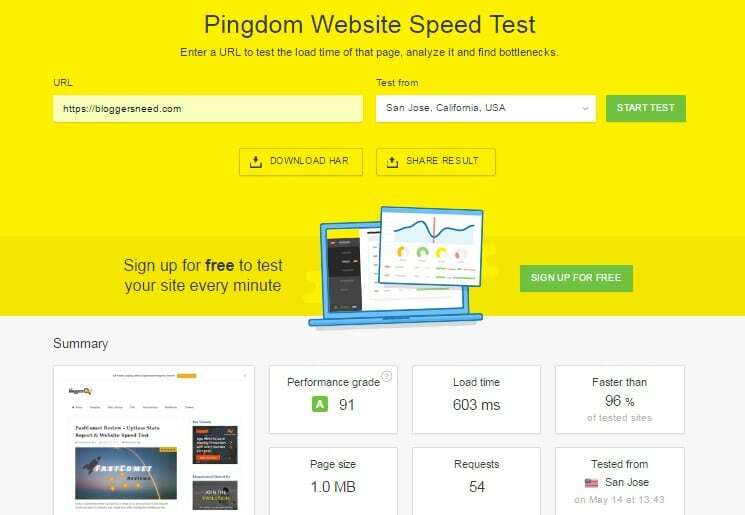 Before going into this features section of MyThemeShop guide, take a look at my site speed which is 603 Ms less than a second to load which increases site performance good for On-Page SEO which creates the chance of getting higher ranking in search results. Light Themes – Themes are light and efficient code, Super Fast loading speed. HTML and CSS – Themes are Built with latest Html5 and CSS3 Markup. SEO Optimized – With clean code it makes search engines to crawl your websites easily. Adsense Optimized – Built-in Option to place Adsense ads or any affiliate banners to make money online. Ad blockers – Senses Ad blockers and ask the users to disable to view the website articles. Great design – Every theme got great design and professional look, so it will attract visitors to visit again. User-Friendly – With the great look, it makes visitors well pleased. Responsive – Every Theme is mobile-friendly so viewable in all mobile devices. Social Sharing buttons – Built-in Social sharing plugins to share your content to any social media which helps in link building. Browser Compatibility – Every Theme supports all latest browsers like Firefox, Mozilla, Opera, Safari, etc. Support all Plugins – Third party plugins can be attached without any issues. Multi-language – Themes are translated ready and could translate according to your language. 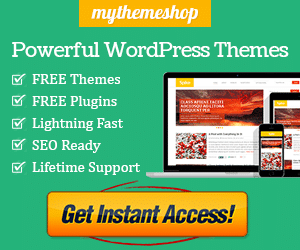 If you don’t have any idea of which MyThemeShop themes to use so, then this section will guide you to pick the best theme and plugins for your wordpress website. Let’s see the most selling and Popular products below. 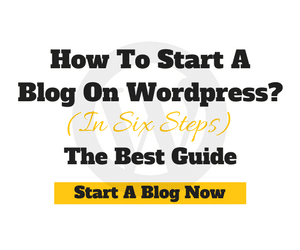 Before seeing the popular themes in this guide obviously, you need to choose your desired theme type which you need for your blog. For that, I am giving you popular MyThemeShop themes with the powerful design from MTS which are excellent and professional. Check the MyThemeShop themes below. Having an idea of opening a magazine blog with the beautiful design for displaying a lot of contents in a single page you can choose Magazine Theme. It has a lot of layouts for displaying posts which your visitors don’t want to miss out. The theme is well SEO optimized, Schema Integrated and Adsense Optimized to display Google Adsense ads. Also, Famous Internet Marketer Jeremy from Shoemoney.com using Magazine Theme. A word from Jeremy(shoemoney.com) – See Below In Testimonial section on this MyThemeShop review article. Schema Theme is the fastest loading and SEO optimized WordPress Theme and highly recommended if you do care a lot about SEO for ranking your website. Rich Snippets is built-in with schema theme which attracts search engines to rank faster. My blog(Bloggersneed) using the Schema Theme and site Is loading under 1 second by which always help me in SEO Purpose. 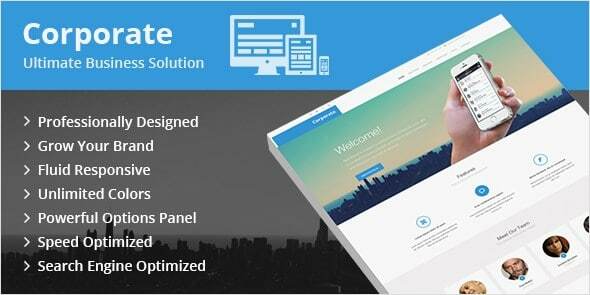 Corporate is the famous business related MyThemeShop theme and professionally designed to give a classy look. And this theme can be used for Agencies, Corporations, business, and freelancers. This theme is fully responsive, fast loading, ads enabled and SEO optimized. To give the more professional look the theme also got different layouts like Team member section, Portfolio section, Company services, Pricing table, Contact us pages. 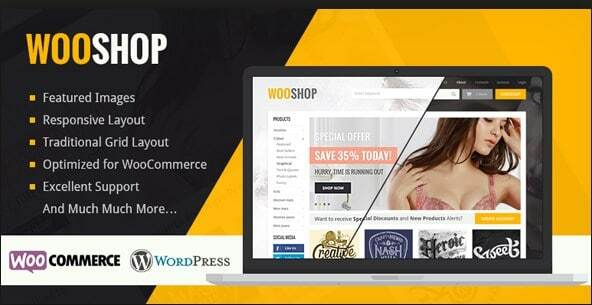 Wooshop is a stylish and modern theme created for stores and e-commerce websites. With fully responsive and stunning layout it increases sales and profits by attracting visitors. The theme got everything you need from adding products to cart to place orders section. The best feature in Wooshop includes translation option which is useful for targeting international customers to buy products they want. If you are going to open a website for sharing coupons for visitors, then you can end your search here because Coupon WordPress MyThemeShop theme is what you need. This theme has got everything from stylish look to best features and theme also Woo commerce integrated so you can also sell products on your website. Coupon theme is SEO optimized, Adsense Optimized, fully customizable to change the look of theme easily as our needs. It is one of the Top WordPress Coupon theme to bring more customers for selling coupons from sites like eBay, Amazon, Walmart, etc. 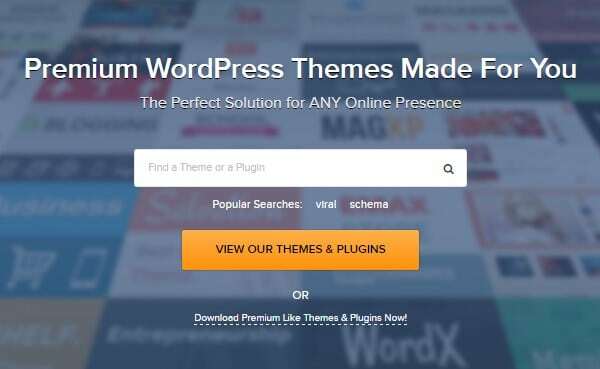 Not only MTS flooded with awesome themes but also consists of best wordpress plugins you obviously need for your blogs. By Using their plugins, you don’t have to look around for finding plugins outside the lake. Because they have necessary plugins and some plugins are free to use. To get free plugins, open an account and download it. 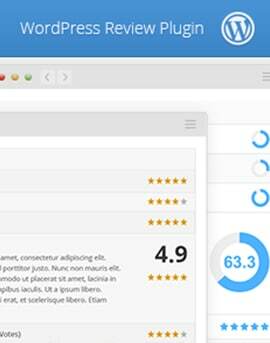 So then this plugin is made for you with WP Review Pro you can create great product review for any products. Without coding create stars, percentage, points or circles for scoring the products and with unlimited colors you can change the fonts color, stars color, background color. WP Review Pro will generate rich snippets in search engines for your product review which increase traffic and make more sales. Even I wrote this MyThemeShop review and gave star ratings. Check at the end of this article. I am using this plugin for writing product reviews and check my rich snippet appear in Google search results. Email marketing is the essential thing for every website. Through emails, you can boost more conversations to run the profitable business. 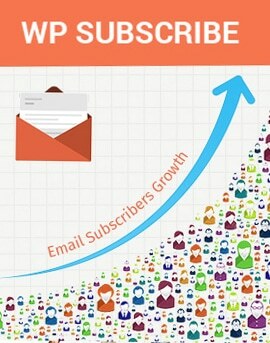 By WP Subscribe Pro you can turn visitors to subscribes by connecting with popular email marketing services like mailchimp, aweber, etc. With different layouts and customizable colors you can change anything without need of coding. Single Product Plan – This is most popular plan from MTS suitable for single website owners and you buy any one theme or plugins for the price $29 -$59 First Year and $19 renewal price. Extended Membership – Best for agencies, developers and who handling many websites. You get access for all themes and plugins by paying $87 onetime payment and $19 monthly to receive regular updates and continued supports. To save my readers money here is the exclusive MyThemeShop coupons and codes. You can use this coupon code link to buy any products, and the MythemeShop discount coupon will work. Save anything around like 15% to 40% by this discount link. To get offer click this MyThemeShop Discount Link and purchase any item. Watch some of the testimonials from famous Internet Marketers and see how they review MythemeShop products and you can even check more stories on the official website. These people are earning six figure incomes monthly. Thier Secrets are smart working and having fast loading and seo optimized themes from MyThemeShop. They will run offers and discounts frequently and free themes and plugins are available to download on their website. SEO ready themes to get higher SEO rankings in search results. The documentation you get from them will clearly explain how to install theme and plugin as well as video tutorials available. Use the theme or plugin for unlimited Websites with lifetime usage. You don’t need to use extra plugin or services for creating mobile version of your website. Because themes are responsive so it will automatically convert in to mobile when viewed in mobile devices. In-Built Ads showing feature so need for additional plugins for showing adsense ads. Cpanel is properly designed which makes easy to use it. No Lifetime access and you have to renew it for every year. In-built Social Share buttons looks simple, they need to change the appearance. My Opinion – Should You Buy Or Not? In my Opinion buying any product is worth the price because all product is good by it appearance and the way it works. They are quite honest in transactions, and the information is fully secure and protected. Like I said previously theme is properly coded which make theme light and loading speed is superfast. They frequently update the themes and plugins to make it even better. Their premium customer support is fast and for premium users they have separate community so you can always be in touch with them. For some newbie’s they have HD Tutorials to teach about how to install their products easily. One thing I consider them is to remove $19 for renewing every year and make as lifetime access. By reading this MyThemeShop review, you could understand the value of it and purchasing this product would be the better investment for long term business. The website is the backbone of every online business, and the appearance is even more important because the first impression is the best appearance. From MTS you can get better themes to impress your visitors or clients and with stunning design and fast loading speed, your business value and profit will increase so choose the best theme from MTS store. 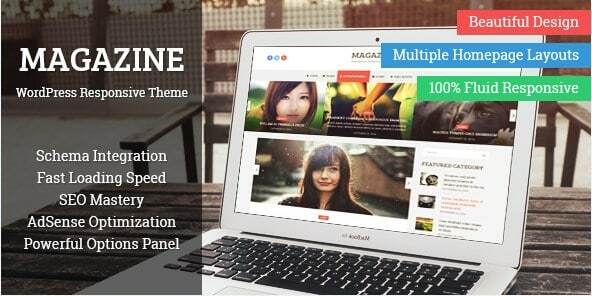 And always use premium wordpress theme for your online success because premium always works better than freebies. In case you decide to withdraw from them after using they are happy to refund your amount by their 30 Day Money Back Policy. So give a try at least once and really you will enjoy it. Anything missing in this MyThemeShop guide? or you have suggestions to improve this article kindly drop that in the comment section.